Jess is a local up and coming artist, holding his first exhibition displaying pieces of art drawn and painted over the last eighteen months. Self taught, he has gained and learned unique skills and techniques along the way. 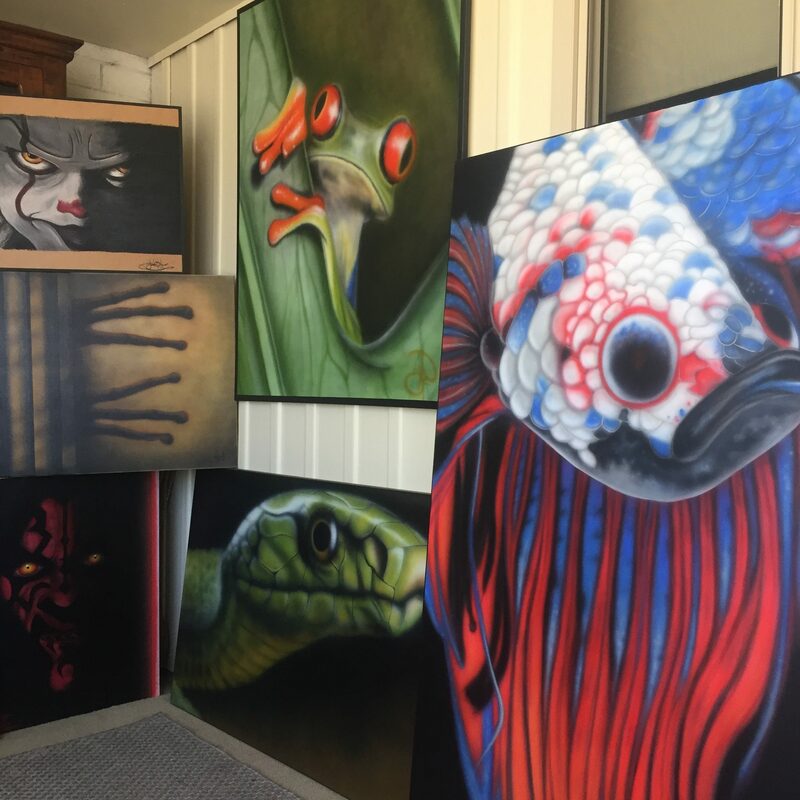 Using mediums of chalk and oil pastels on mdf boards, as well as acrylic airbrushed paint on canvas, his Art has been an outlet through some tough times, characters and creatures he finds interesting and have always caught his attention.